UPDATE: As of 2015, Bisk CPA Review is no longer in business. 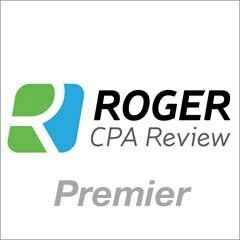 Please check out our current list of top rated CPA review courses here. Bisk CPA Review has been around longer than pretty much anybody in the CPA exam review niche. It’s a segment of Bisk Education which also produces study materials for other exams and training courses. Bisk comes in two formats: guided review and self-study. Guided review is an online course and includes DVD’s, audio CD’s, and streaming lectures. Self-study includes textbooks and software CD’s. The full “Classic” package costs $1,980 which is higher than the industry average. Despite being higher in price Bisk fails to offer the quality and comprehensive review found in its competitors. You can purchase Bisk CPA Review books on Amazon.com for around $30 but after reading through their material I would say this is still a waste of money. The best thing about the Bisk review is their main lecturer Robert “Bob” Monette, a recognized CPA expert. He is popular with students because of the quality of his lectures. He presents information in a clear and easy to understand manner which simplifies even the most complicated subjects. Many people claim he’s Bisk’s main appeal, or even the only reason to choose Bisk over its competitors. Bisk has been in the game for 40 years. Their longevity has created a strong heritage for the Florida based company. Bisk has helped more than 100,000 candidates pass the CPA exam and is endorsed by the Big 4. There’s no need to buy all materials offered. The textbook and the CD are identical. It’s a complete waste of money and time to buy both. Choose the one that suits your learning style better. It’s worth noting the whole product has mixed reviews. While there are some people who claim it’s “fine” or “good enough”, there just aren’t many clear recommendations for this product. There are many people who claim Bisk is a waste of time and money. This is particularly true for the “Classic” course. Many people say the program is just not good enough to adequately prepare for the exam. You will likely end up using an additional course to make up for the shortcomings of Bisk. If past users aren’t fully satisfied with the product then the odds that you will be are very slim. It’s also worth noting that Bisk doesn’t publish the passing rate of their students. 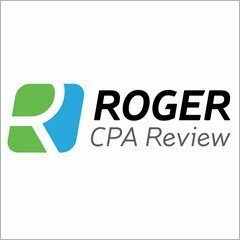 Many CPA review companies post their passing rates as one of their main marketing strategies. Bisk doesn’t say anything about their passing rate which raises a red flag you shouldn’t ignore. The Bisk multimedia CD is full of additional features but some of them aren’t really useful. For example, the most popular feature, “Create a Custom Exam” doesn’t randomize questions for you, which disables your ability to see different versions of the test and promotes memorization of answer patterns rather than learning. This feature can actually inhibit your ability to think quickly and transfer focus from one subject to the next smoothly. 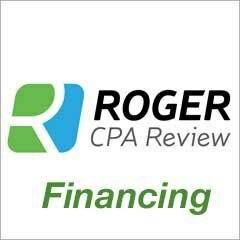 Bisk CPA review has a long history and is a respected by many in the industry but their time has passed. Their CPA review course has been surpassed by several others over the last decade because they have remained stagnant.. Aside from Bob Monette, Bisk doesn’t have any strong features that set it apart from the competition. I would recommend Bisk to students only if you love Bob Monette’s lectures and are determined to go the extra mile to learn the subjects he doesn’t teach. 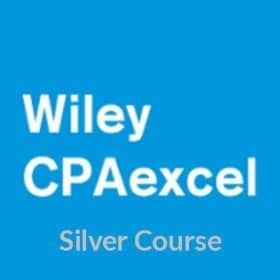 To compare the Top CPA review courses, please click the button below!